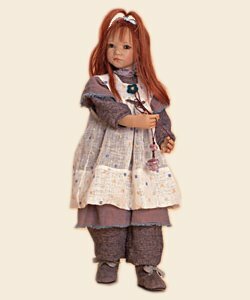 January 15: I have added the pages for the 10 new Himstedt Kinder from the Winter Collection. They are; Anna Lu, Inari, Kindra, Leleti, Milina, Nakuma, Reki, Setina, Sinami, and Tscharle. Annette has chosen to split her 2008 Collection into three collections. The Spring Kinder will be revealed in May and the Summer Kinder will be revealed in September.